Have you heard of Mistobox? It's a coffee discovery service. 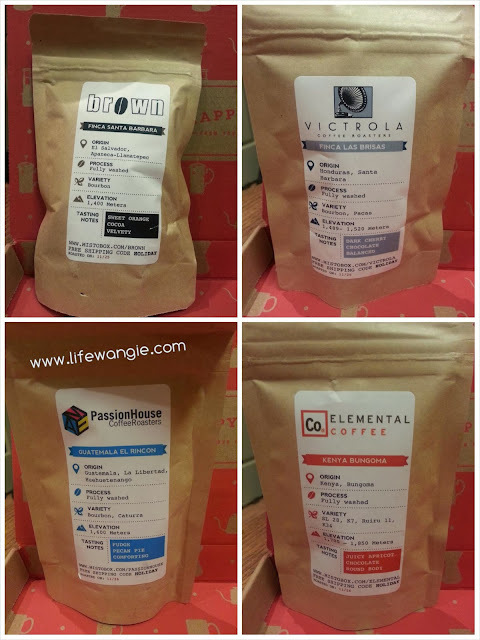 They kindly sent me a December box to review. 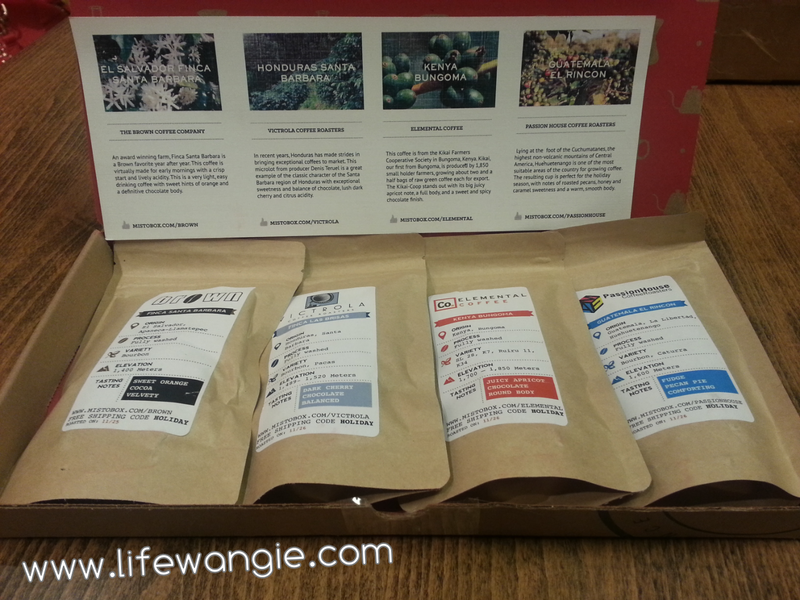 Mistobox contains four samples of "legendary coffees from the country's most awesome coffee roasters." Each sample is enough to make one pot of coffee if you are using a drip maker like we do at our house. If you are using any other fancy way to make your coffee, I am sorry but I don't know how many pots it will make, because I am not a fancy coffee person, but the bags are 1.7 oz each. However, I am not opposed to drinking fancy coffee, and I do kind of feel like I should learn more about it. 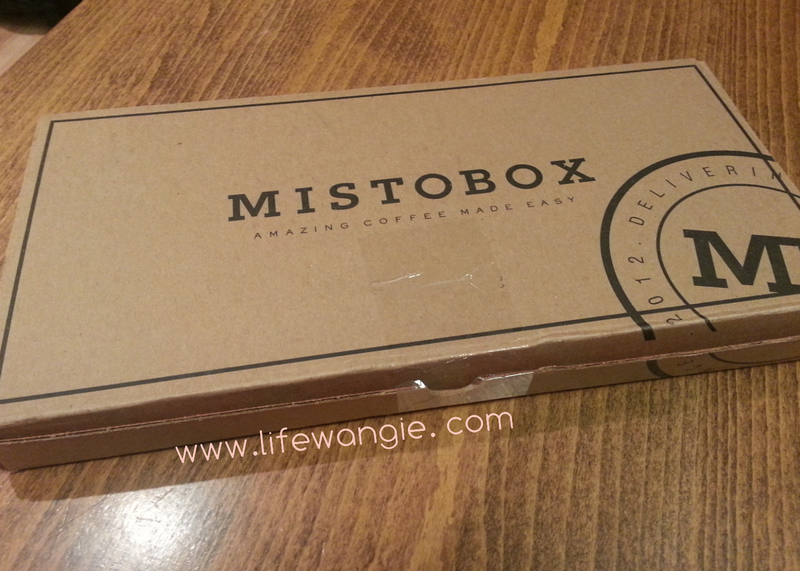 So I was excited to try out the different varieties in Mistobox. I wish I could speak on a sophisticated level about coffee to let you know the different flavors that I experienced and whatnot, but I can't. However, what I can tell you is that it's exciting to me to be able to try out different coffees without spending a ton of money. It costs $19 for this size of subscription, or $30 a month for a double-size box, and you can opt for once or twice a month. At first this sounded kind of expensive to me, but when you realize how much people pay for fancy coffee, it's a pretty good deal to be able to test out the coffee before spending big bucks on it. Subscribers also get monthly discounts and free shipping. Mistobox also has a web store where you can buy full size versions of the coffee you have tried, along with other things like grinders, brewers and even kitchen scales! I had no clue that people would use kitchen scales to measure out and brew the perfect pot of coffee. They also have a lot of informational stuff on their site. I think I will hang around this site for a while and see what I can learn!